Since Plano is right outside of the north Dallas area, it can mean a few things. It can mean some of the problems that Dallas deals with, Plano deals with too. This even goes for pests. Plano schools are filling up every day, and lice can be passed amongst students. When this is a reality in your home, trust only the experts at Lice Lifters DFW for your Plano lice treatment. When addressing lice and nits, our approach is proven effective, if followed properly. This involves participation by all family members. Your eldest child needs to follow the after-care procedures, even if it is only your youngest child who has lice. It is an approach that only works when all family members take part in the removal process. 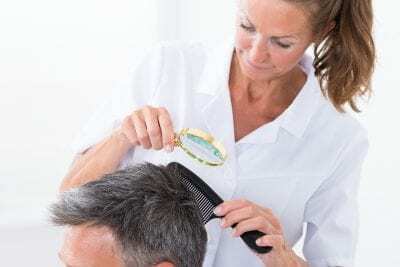 For Plano lice treatment, we first suggest you and your entire family come to the Lice Lifters DFW Treatment Center in Frisco. At this location, all members will get a thorough wash and comb-out. At home, the process will continue with an all-natural after-care solution. Plano lice treatment can seem daunting. However, if it is done right, it is effective. Are you in need of fast, efficient lice removal services and treatment? Look no further than Lice Lifters! Our customized lice removal strategies have proven to be 100% effective, time and time again. We believe in natural, holistic treatments that involve the entire family (not just the person who’s been afflicted) – this is because, as has been our experience, lice removal only works when everyone in the household receives treatment! Our lice treatment center is widely known within the North Texas community and beyond, for our high-quality removal and treatment services. We truly set the standard when it comes to getting rid of lice, once and for all. Contact the Life Lifters team today for more information about our services! Here at Lice Lifters, we don’t believe in using potentially dangerous toxins and harsh chemicals in our treatment process. Instead, we utilize non-toxic, natural killing agents to remove head & body lice! Our all-natural lice treatments have proven to be 100% effective in ridding the scalp and body of any trace of lice – why use poisonous chemicals when you don’t need to? Pesticide-free treatments are simply more thorough, and more effective. We speak from experience when we say – natural lice treatments are the only way to go. Contact the Lice Lifters team today for more information on our holistic, natural approach to successful lice removal! Your children never need to fear Lice Lifters Treatment Centers. We work with kids daily, and we’re good at putting everyone at ease. Our own children have had lice before, and we use the same treatment solutions on them as we do for your children! A head lice infestation comes and goes throughout the year. It’s easy for children to pass head lice among each other. Hats, scarves, and jackets are the perfect devices for transmission. Of course, children are not the only ones to feel the itch! If you’re tired of scratching your scalp, trust in us for prompt lice treatment solutions. We use a three-step method to rid your scalp of head lice and nits. Head Check – We begin by scouring your hair and scalp for signs of nits, nymphs, and adult lice. If we find any signs, it’s time to begin treatment! Comb-Out – Our comb-out techniques are designed to remove stubborn nits from hair shafts. Clients with long hair need an hour to an hour and a half in this stage. All-Natural Killing Agent – Our non-toxic treatment solution contains no harmful chemicals. It’s also proven effective at killing head lice! Head lice are a temporary problem. Some solutions are also temporary. We urge clients not to opt for over-the-counter “treatments” as they fail to cure the problem. Instead, opt for Lice Lifters Treatment Centers. Call today to arrange head lice treatment in Plano, TX!